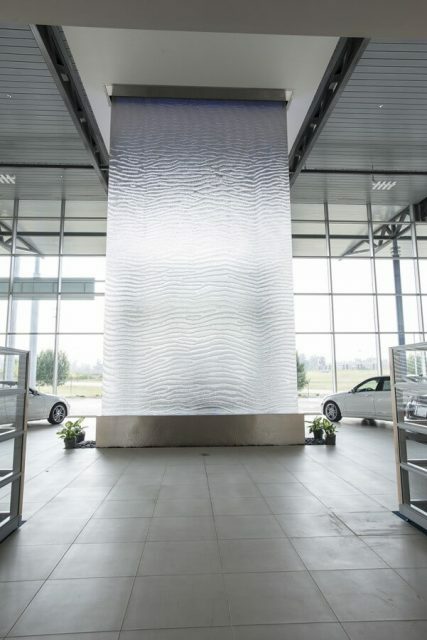 A custom engineered stainless steel mesh is used to create a unique surface for water to flow over. 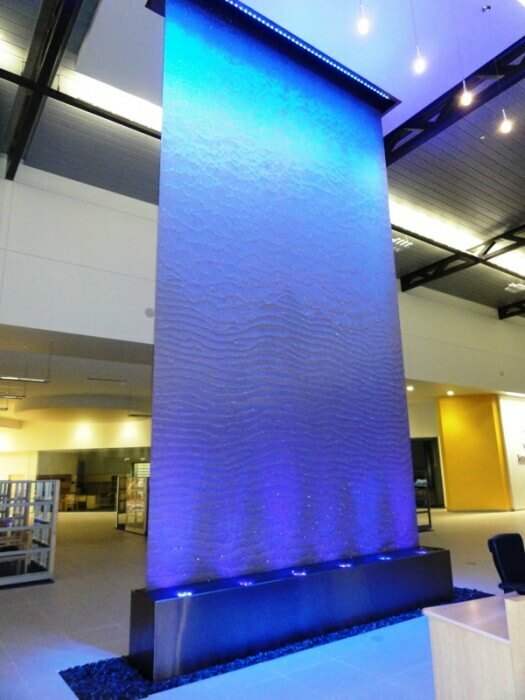 The custom mesh specification allows for precise control of water flow rate for a customization while the material itself is well suited for a wide range of water feature sizes. 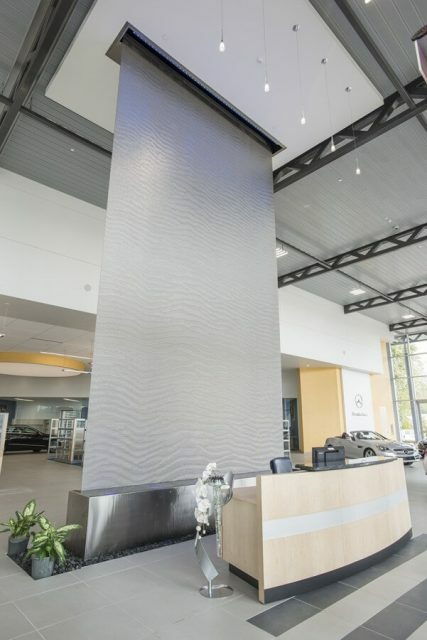 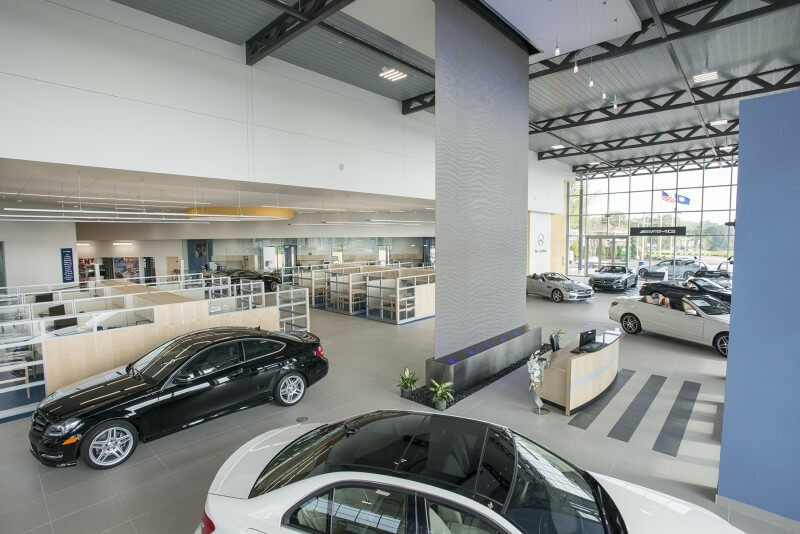 Here color changing LED lights adorn the water feature for the Mercedes-Benz Dealership in Ft. Mitchell, KY by Bluworld of Water.